Is that bump on the back for real? That's going to look horrible if you carry this on your pants. That's stupid design. Guyz plaese this phone has armv7 processor. you noobs! 800mhz is enough to run ics. Get rooted! Overclocked your processor to 1ghz. Remove bloatwares! Install custom roms! This phone is nice than galaxy y and pocket! noobs will always be noobs. Go to gym and stop bashing every phone you dnt prefer. This one is created for low budget. If you can afford go for 4s.s3. Or other premium phones! Godbless you racist! Why's that the whitepaper that sony provided through their site says that it's a Qualcomm msm7225AA and here it's msm7227A I think there's an error haha..
lalaland, 14 Jun 2012well xperia tipo offers 800mhz and desire c offers 600mhz! but tipo got 2.9gb of storage and d... moredesire c has 4gb storage but 1gb is available to users but xperia tipo has 2.5 gb available.if u want bigger screen go for xperia miro with about same price of desire c and so musch better look and better specifications. What do you think will be its price in Philippines? and when will Sony release it to Philippine market? THIS IS THE TRUTH., 15 Jun 2012For all,I just wanna give you info & facts. 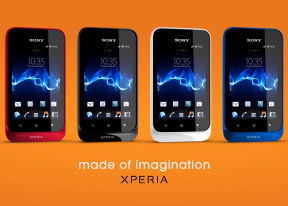 Xperia Tipo is the best low-end smartphone @ ... moreU shouldn't be concerned about that. 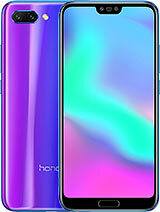 With a 3.2" budget android phone hvga is the best u'll get. Graz, 16 Jun 2012This has a better design and better battery capacity than Sony's premium Xperia phones!This is Sony's first dual sim device but sims cannot work collectively. This has a better design and better battery capacity than Sony's premium Xperia phones!